Liverpool will set a new club record if they avoid defeat against Everton in Sunday's Merseyside derby. 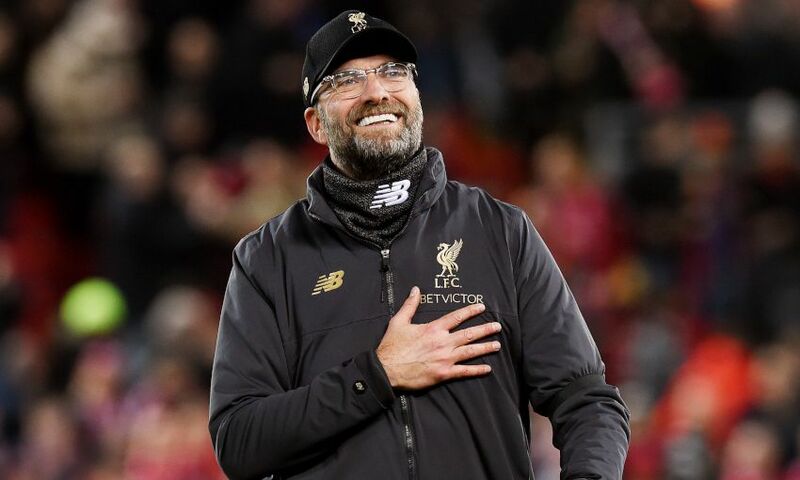 The Reds are looking to extend their unbeaten run in the league at Goodison Park to a landmark eight games - beating the previous best of seven set between 1913 and 1922. Jürgen Klopp's side equalled that long-standing record with a 0-0 away draw in the corresponding Premier League fixture last season. This will be Liverpool and Everton's 100th league meeting at Goodison Park and the 200th Merseyside derby in league football. In all competitions this will be the 233rd meeting, with the Reds leading the battle with 93 wins to 66, with 73 draws. Liverpool have won as many Merseyside derbies at Goodison as Everton have - 40 each in all competitions in 113 encounters. 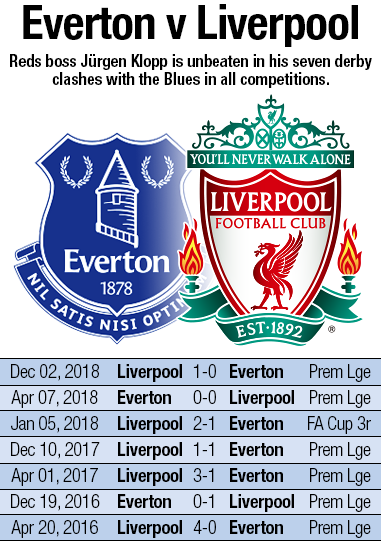 The Reds have lost just three of the last 38 meetings in the Premier League home and away - all at Goodison - and are unbeaten in the last 16 either side of Stanley Park. That 16-game run without defeat constitutes a record between the clubs. This is his 65th game and the record is currently held by Fernando Torres (72 matches). The Premier League record for reaching 50 in the fewest games for a single club is 66 matches, held by Alan Shearer while he was with Blackburn Rovers. Sadio Mane could play the 150th Premier League game of his career. He is two goals short of recording 50 for Liverpool in all competitions. The Senegalese forward has found the net in all but one of the Reds' last six league games, scoring six goals in that time. Daniel Sturridge has scored seven career goals against Everton. His four for Liverpool is more than any other current Reds player. Next on the list is Divock Origi with three. Origi's 96th-minute goal in the 1-0 win at Anfield in December was the fifth time in the Premier League era that Liverpool have scored a stoppage-time winner against the Blues, doing so more times than against any other team.